Perfect for Hot & Cold applications without weeping. Diverse applications for sandwiches, burgers, salads and dips. Authentic taste with thick, creamy and rich mayonnaise. 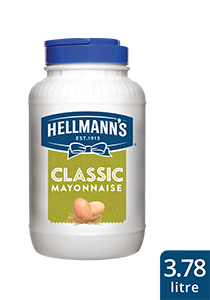 The best classic mayonnaise that you can get in the market with rich creamy savory taste, made with best quality ingredients for multi-purpose usage.